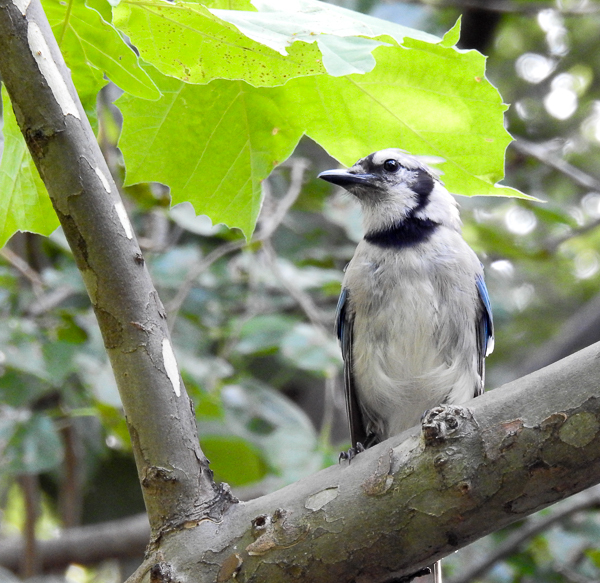 Birds are always around, one of the things that makes bird watching such an approachable activity. If you don’t have time to watch for awhile, there will be birds to watch when time opens up again. When you do have time for it, it can be a very peaceful and healing activity. I haven’t done much birding or bird watching in the past month or so. My brother died unexpectedly last month and as often happens when life throws you such things, my daily focus and activities narrowed for awhile. I’ve missed the birds. So today I made a point to go and sit out on my back step and see who might come for a visit. 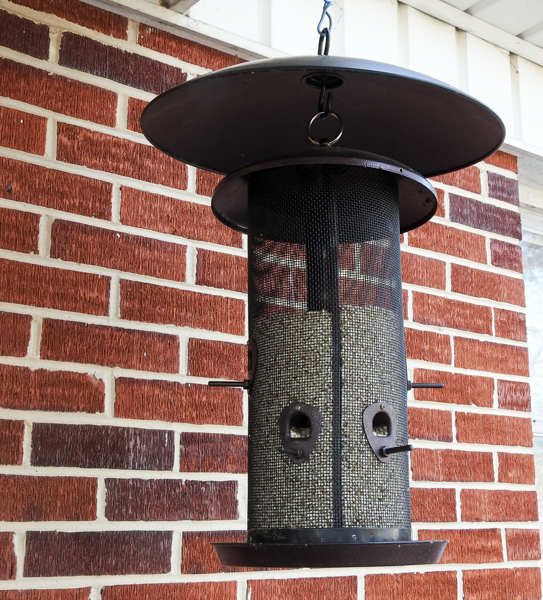 When you feed birds in a big way year-round like I do, you find that there is no perfect year-round arrangement of bird feeders because the bird population in the yard is not stagnant. Some birds seem to stick around with a fairly predictable daily schedule. Others are only here for a season and then migrate out again. Some stop by for a day or two and move on. And yet more discover the bird feeder buffet and become new regulars. 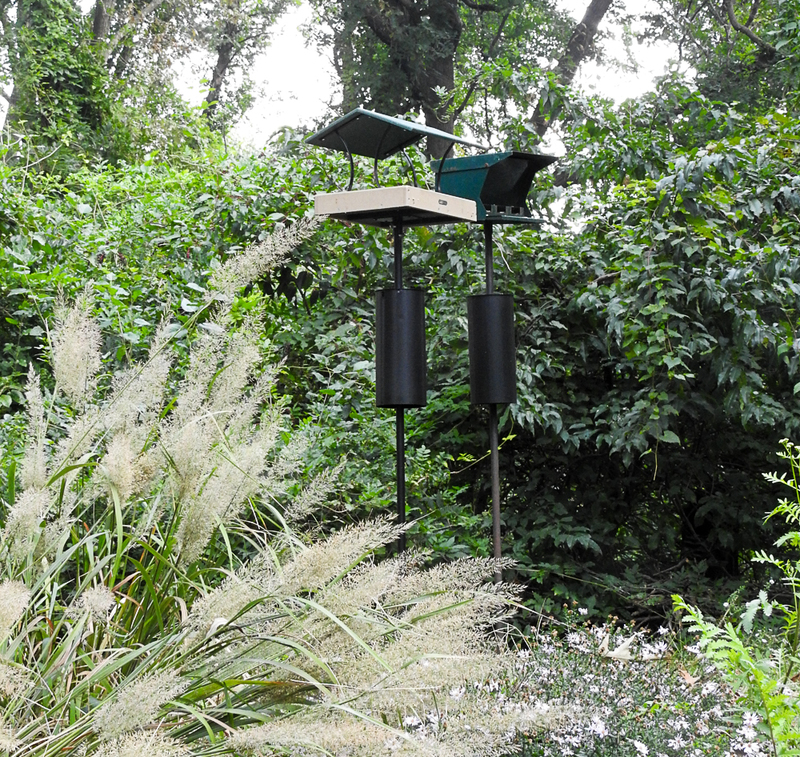 Some changes in the bird population don’t make a big impact, while others change the whole dynamic of the yard and I find myself moving feeders around again to find the perfect setup for the new situation.